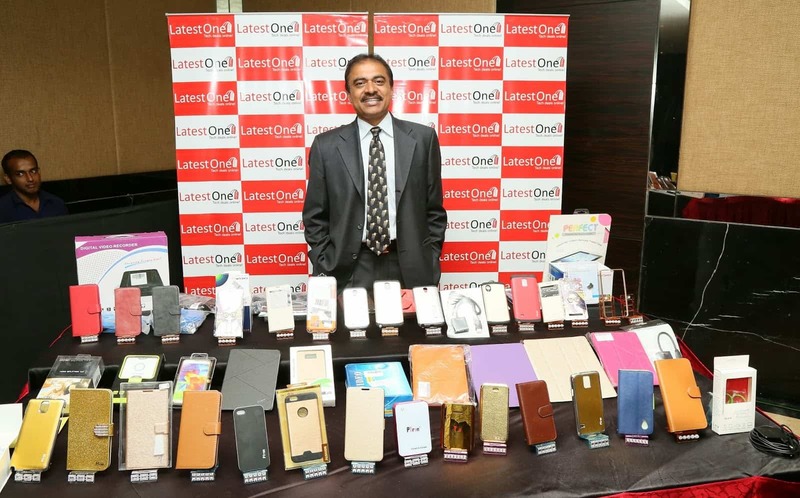 How Hyderabad based LatestOne acquired the market of Tech accessories in India? Launched in June 2014 by Palem Srikanth Reddy, Latestone.com, a firm based out in Hyderabad offers a one-stop complete solution in tech accessories such as mobile covers, tablet accessories, cables, power banks, android TVs and CCTVs. It’s the only public listed e-commerce platform in the country. “LatestOne.com was founded with an aim to provide a one-stop online shopping platform for tech users looking for latest designs, models, gadgets and accessories for their tech and mobile products. It is a B2C, inventory-based online store and is unique in the vertical specific e-tailing business. The company claims to have invested Rs 30 crore to build the inventory. The company has over five lacs customers across the country. The website receives 25 percent of orders from Mumbai and Pune, 20 percent from Delhi-NCR, 15 percent from Bengaluru and 40 percent from rest of the country. A team of excessively cool people is working day and night to bring you the most awesome products and the most awesome prices. At Latestone.com, the main focus is on customer satisfaction. Why we choose Latestone as Startup of the Week? • Latestone is a public limited company listed at BSE and NSE. • It is the only public listed company operating in E-commerce business in India. • It provides customers with quality products at lower prices, with a return and refund policy. • The quality of products they sell is quite good. All the products are covered under either manufacturer warranty or our in-house warranty. • Within such a short span, it has gained its popularity over social media platform with almost 783000 fans on Facebook and 8.5K followers on Twitter. • LatestOne.com has signed an agreement with India Post to deliver theonline orders on COD across India. So everyone can order their favorite Mobile Covers/Power Banks/Cables & other tech accessories even from remote cornersof the country. The website receives 1, 50,000 organic traffic every day. The company claims to have successfully crossed the milestone of processing 1 lakh orders in a single month within its first year of operations. According to the chairman of Latestone, the company started operations in Aug 2014 with 3,000 orders in the first month. In July 2015, it processed over one lakh orders. This growth has strengthened its position as the market leader in online sales of tech and mobile accessories. The company is growing at 50 per cent quarter-on-quarter. Its current quarter net revenue will be Rs 12 crore. The company is in early stage of raising Rs 150 crores from domestic investors for global expansion. It will be the first Indian company to do global e-commerce business with operations launching in five emerging economies. There is a huge market opportunity to grow in this particular segment. The market is worth Rs 20,000 crore, but only Rs 500 crore worth market is online. Speaking of his company’s growth, the chairman Mr. Palem said“His net revenue can grow to Rs 250 crore in three years”. The firm is planning to open warehouses in other major cities such as Delhi. The firm has so far invested Rs. 20 crore on the e-commerce foray and has committed another Rs. 10 crore for the expansion. Along with this, the company has plans to raise funds soon.